The American Land Title Association (ALTA) exists to advocate on behalf of its members and the industry’s interest, provide education and information to its members, offer networking opportunities, and create and promote professional industry standards. In 2017, ALTA will focus on six strategic priorities to help our members excel in a dynamic business and regulatory environment. Expand the understanding in the lending community of ALTA Title Insurance and Settlement Company Best Practices as an industry standard for compliance management programs. Promote the ALTA Registry as an industry utility to validate the identity of title insurance agents. Promote simple, clear communication directly with homebuyers who want and deserve information about title insurance and settlement services. Promote innovative consumer education and better online presence for title and settlement companies. Create a program for ALTA members that reflects the strength of the title and settlement industry through strong professional values. The tenets of the program are centered on understanding and complying with the laws and regulations governing the industry, educating and communicating with homebuyers about the benefits of our products and services, and encouraging strong, ethical corporate cultures. Educate our members on security threats to the information and funds entrusted to their businesses in a cyber and physical environment. Provide collaborative opportunities to engage and educate security professionals in the title and settlement industry. Increase skills of the current workforce and enhance knowledge about the business of title and settlement for ALTA members. Promote this great profession to prospective employees to attract talent and build future leaders for our members and ALTA. Manage continued implementation of the 2015 TRID rule and the 2016 TRID revisions with special attention to programs and policies that can ease collaboration and transparency for the consumer, such as uniform recording fees. Relationships: Successful outcomes happen when people and organizations collaborate. ALTA is invested in developing relationships with consumers, state land title association partners, regulators and policy makers, related industry partners, consumer advocates, and our own members. Innovation: Our world is experiencing a time of exponential growth and development. Innovation can help our industry provide better service to home buyers and sellers and better workplaces for our members. Innovation also creates opportunities for disruption in business and threats to the security of business operations. 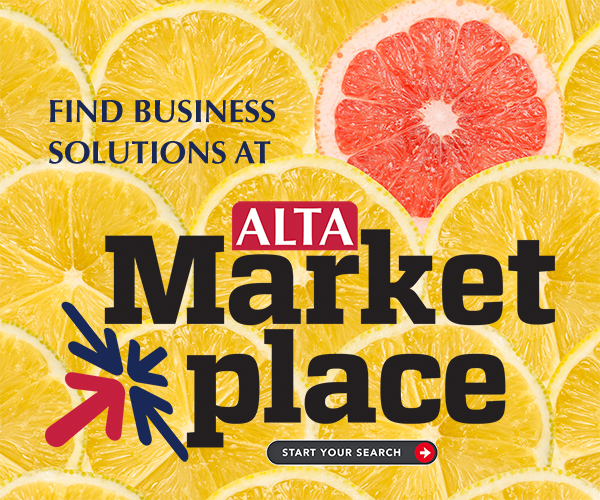 ALTA is a forum to discover innovative ideas and trends in order to help our members ensure that their businesses are protected and that they have the very best opportunity to succeed for the long term.